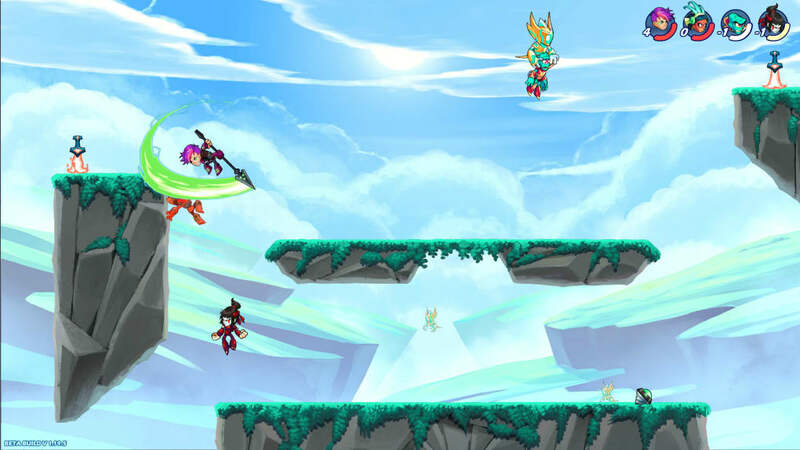 Brawlhalla is a free to play online platform fighter. 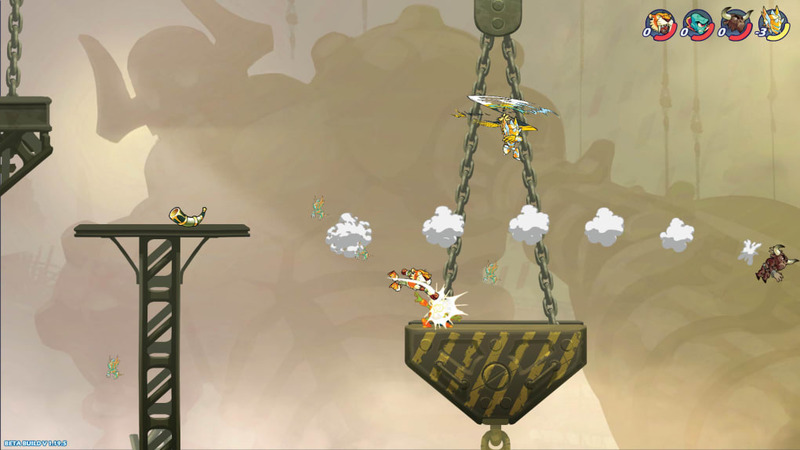 Similar in style to the Super Smash Bros. games, players fight across small platforms with a variety of weapons. 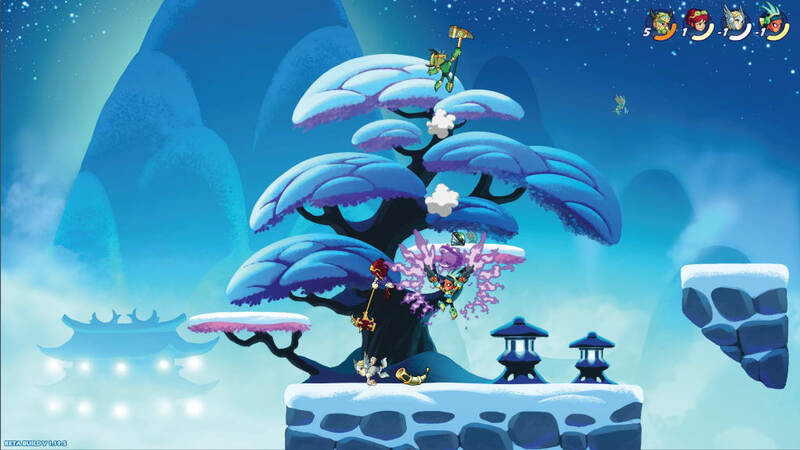 Brawlhalla is set in an everlasting world where the best heroes battle it out for dominance. 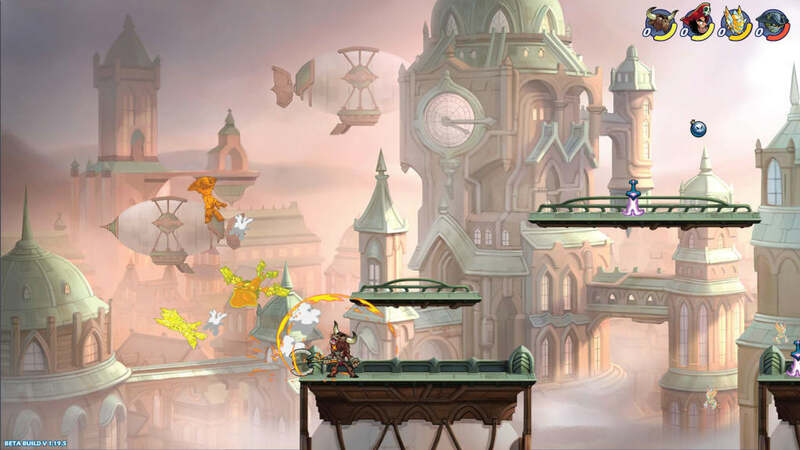 Matches take place on a variety of stages with points earned for knocking opponents off the stage. 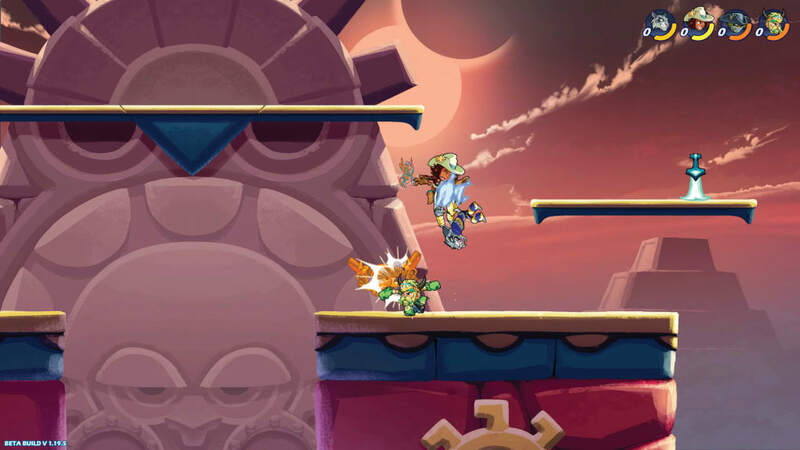 Each hero has a different play style and can pick up weapons for additional ways to fight. 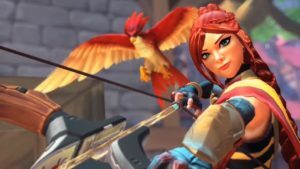 The free game has an initially limited set of rotating heroes, which can be increased with either in-game gold purchases or with real money transactions. 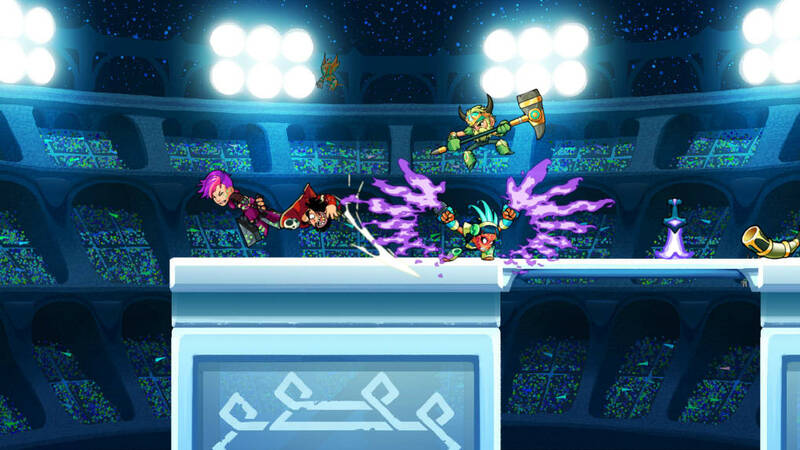 Brawlhalla features a range of matches from casual to competitive. 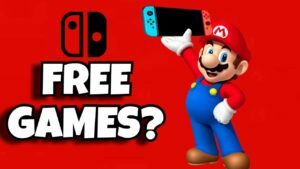 Play one on one versus an opponent of equal skill, fight with a friend in 2 v 2 matches, jump into massive 8 player free for alls or have fun with party games. 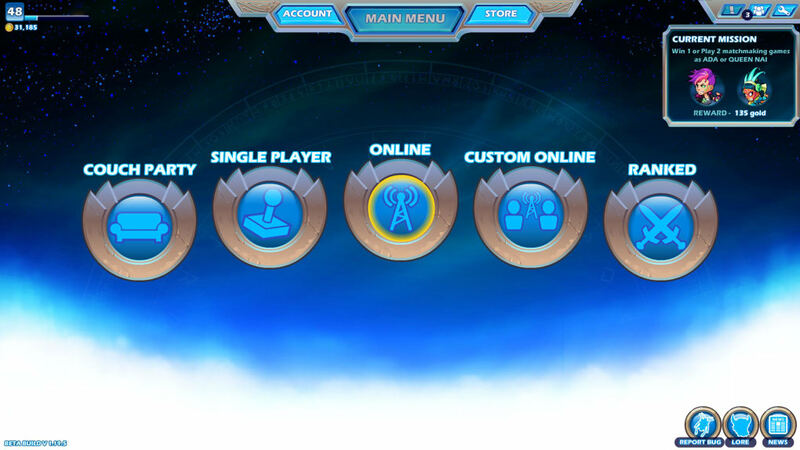 The game has the huge advantage of avoiding all pay to win functions, making character progression more about player skill than anything else. The dedicated developer team actively works with the community to create regular free updates. 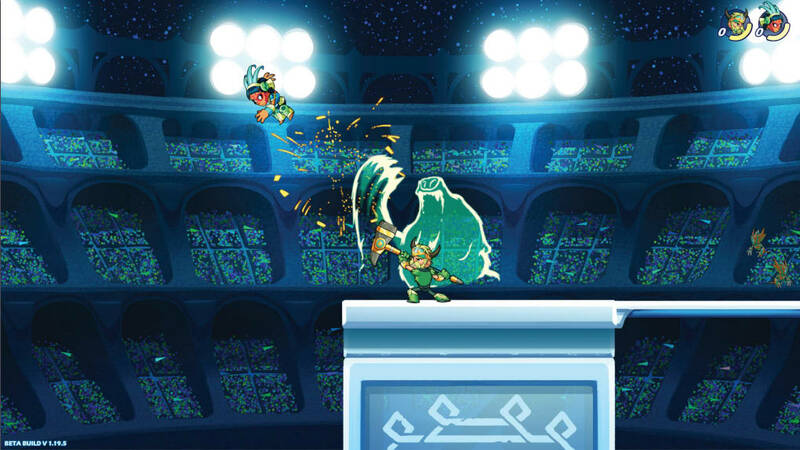 Brawlhalla is a great choice for a free online fighter. The dedication to inclusion and new content create a new experience every time. An eternal battle arena where the greatest Legends ever brawl to prove who is the best that ever was, is, or will be. Every match is an epic test of skill, speed, and strength, and every victory brings glory and bragging rights to the winner. 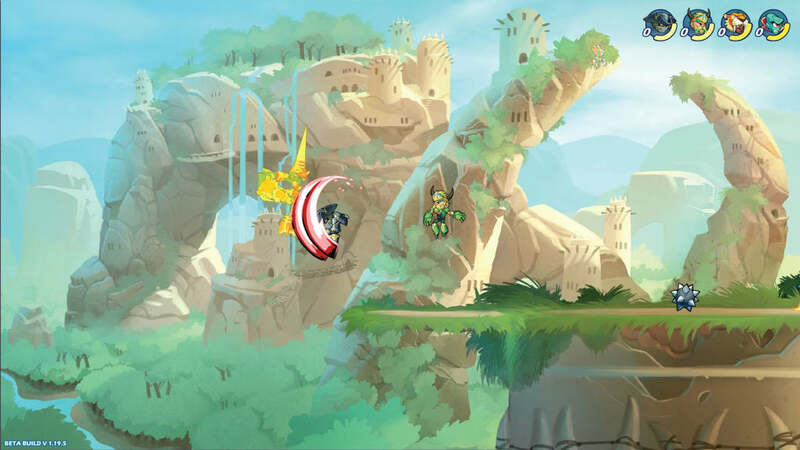 Brawlhalla is a free to play, 2D platform fighting game featuring both online and local singleplayer/ co-op modes. 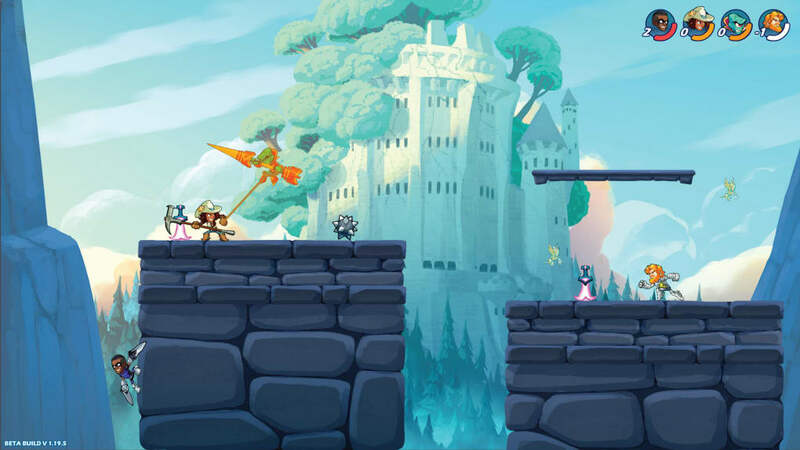 Online Ranked 2v2 - Bolster your ranks with a friend to prove your mettle, wit and teamwork in frenetic 2v2 battles. 8 Player 4v4 & FFA - Because the only thing better than four legends vying for bragging rights is eight legends battling for bragging rights. 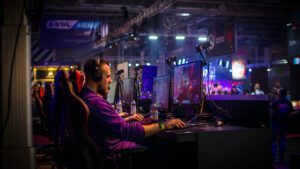 Local Single Player - Square off against bots in a three game tournament series. Perfect for warmups or score grinders.